I’d been warned: the 5-Star reviews couldn’t last forever. “Be prepared,” people cautioned me. “Trolls are out there and sooner or later one of them will pan a book. It’s going to be ugly.” I don’t check for reviews on Amazon much as I take the long view. Writing a book is a slow process, and building up a list of reviews can take a while. I’ve been pleasantly surprised to receive consistently solid, glowing reviews. I got my first 1-Star review. The German guy says Tsunami Cowboys is the worst book he’d ever read. He didn’t finish it. And, after page 56, HE BURNED IT. WTF? Really?? In the 21st century, people are still burning books?!? I went into shock. I was horrified. Shaken. Ashamed, even. In my worst nightmares, I never ever ever imagined someone would actually destroy my words like this. Until now, it was beyond my powers of imagination. I got out a copy of the book. What could possibly be so offensive? I opened to page 56 and the peak of a chapter in which Coreen, one of the main characters, is trapped in a cult and can’t get out. Ok…. Maybe the troll was upset by the topic. I sure was; that’s why I wrote about it. If he’d made it to the end of the book he would have learned the following: I’m religious. I believe in God. My heroine’s story continues well past the page where he stopped reading. If he’d bothered with the author’s Afterword, he’d have learned my personal reasons for even including this thread in my book. I’m appalled that someone would be so hateful. I questioned everything I am doing as a writer, and worried about the consequences of exercising my voice. Then I remembered: I just went to a high school reunion. It was a fantastic weekend spent seeing wonderful people again. By far one of the most lovely is a woman who was a missionary. She’s read both my novels. 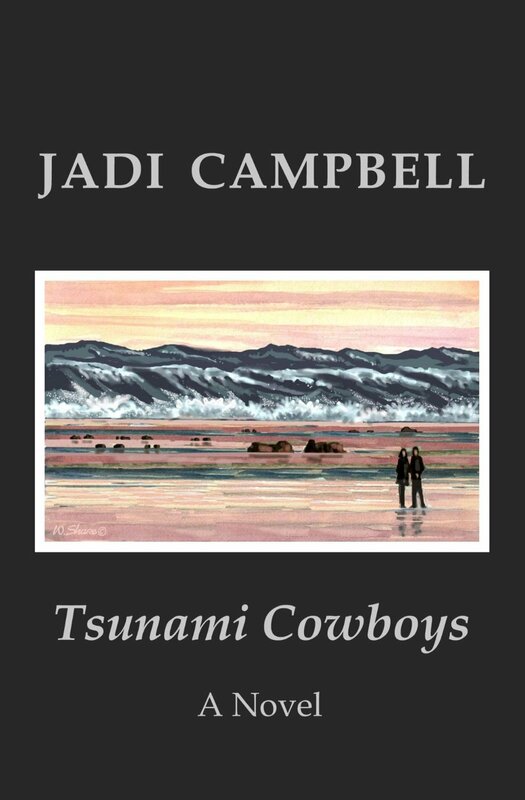 At the reunion, she made a point of telling me that the story of Coreen and the cult disconcerted her, and she had to put Tsunami Cowboys down for a while. It hit a little too close to home. But, she said, she picked it back up a few months later, read it to the end, and liked the story I told very much. Words contain a lot of power, more than we realize. My encounter with the troll really brings that realization home to me, and in the future I will pay closer attention. His other reviews have the same ugly caustic tone, so I’m not alone. I’m not sure if that makes me feel better, or worse. I swear it just came to my notice that this is Banned Books Week: September 27th – October 3rd.